Our proven program can free you from cocaine addiction. With our treatment options, you can break the cycle of cocaine addiction. How do I know if I need cocaine addiction treatment? Are you unable to stop using cocaine? Do you need more and more cocaine to achieve the same high? Do you neglect your responsibilities and choose instead to get high? Have you lost interest in doing the things you used to love to do? Has “getting high” become the thing you think about the most? Do you experience paranoia, hallucinations, delusions or seizures since you started using cocaine ? Next to methamphetamine, cocaine is the most addictive drug available. 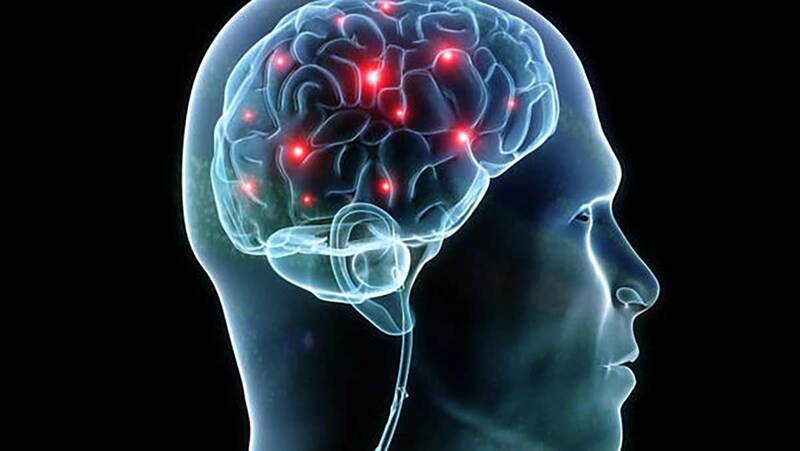 It effects the brain by releasing extra dopamine and restricting it’s absorption. These changes over time can actually affect the physiology of the brain and the behavior of the individual. It takes control of your actions, your thoughts, and eventually your life. No one wants to become addicted to cocaine. But you can decide to do something about your cocaine addiction. Admitting that you have a problem and seeking cocaine addiction treatment is a sign of strength. Call us now, we have been where you are. At Ventura Recovery Center®, our staff is in recovery as well. We picked up the phone and asked for help and we are glad we did. If you have a loved one who is addicted to cocaine, is can be a difficult time for you and your family. How can I find help? What are my options? And, perhaps the harder question of all: How do I discuss this with my loved one? The most important thing to remember is to stay positive. Show your support. If they know you will do whatever is needed to help them in their struggle, they will be stronger as the going gets tough. A supportive loving home will work wonders in this process. Try not to play the blame game. Remember that the struggle with addiction can be very difficult. When discussing treatment, use “I” statements when talking about how their addiction has effected the relationship. Try to remain encouraging. Cocaine Addiction Treatment: What can I expect? Cocaine is a powerful and addicting stimulant causing the person to have a great amount of energy as well as drastic changes in their behavior. Long term cocaine abuse results with a crash. Crash or withdrawals include paranoia, depression, exhaustion mood swings and sometimes vomiting. Professional cocaine detox treatment is a vital step towards a safe and successful recovery. It can be very dangerous to detox on your own. During the detox process, medical issues may arise including: respiratory and cardiovascular problems, chances of strokes and seizures, fever or blurred vision, gastrointestinal complications, muscle twitches, convulsions. Medical supervision of a cocaine addict is extremely essential, because the symptoms of extraction can be perilous. Without medical supervision, withdrawal can be uncomfortable. During medically supervised cocaine detox, the body and mind recover from cocaine’s effects with a combination of medications and counseling. Vital signs, such as heart rate, breathing, blood pressure and temperature levels are all monitored to help keep individuals safe and secure throughout the entire process. The emotional state of the client is also closely monitored by our staff. Our JCAHO accredited detoxification program ensures therapeutic removal of toxic materials mainly carried out by the liver. The symptoms of withdrawal are minimized with medicine and much-needed rest. Our staff is on hand to ensure you are comfortable. Meanwhile, our clinical staff provides therapy and counseling to address psychological issues. As the body is allowed to heal and renew, so too the emotional strains of addiction begin to be lifted. Once the physical effects of cocaine addiction subside, our counseling staff helps you get to the root of the problem. Through group and individual therapy, we focus on helping you deal with the issues that caused the addiction. You can free yourself from the thinking habits and impulses that lead to the addiction and live a happy, fulfilled, drug-free life. It’s not all just work here at Ventura Recovery Center. We take time to play too! Social activities like yoga, boxing, barbecues and day trips to the beach and other local attractions are fun and exhilarating. You will form bonds with others that will last a lifetime. We help you build your self esteem and return to the REAL YOU. Also, when you come to Ventura Recovery Center, you become a part of a large sober community. You will spend time in the company of others who have been through what you are going through now. Mentors will provide you with examples to follow and give you the tools you need to GET YOUR LIFE BACK. We teach you to make positive choices so you can return to your life and face the challenges that may come with dignity and integrity…sober. For every dark night there is a brighter day. If you or a loved one is addicted to cocaine, we can help. 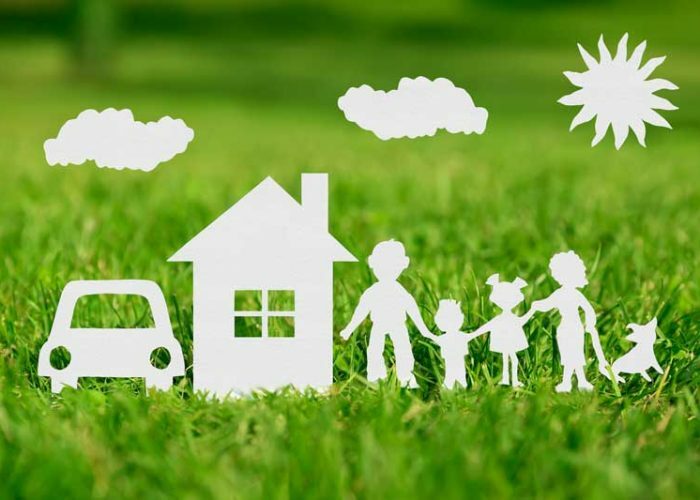 We realize that this can be a difficult time for you and your family. Our highly skilled and caring staff has the experience and expertise to help break the addiction cycle for good. We will walk you through the healing and recovery process and give you the time to renew and rejuvenate in a comfortable home-like setting. Located just north of Los Angeles in Thousand Oaks and Westlake Village, CA. Surrounded by beautiful vistas, hiking trails and wildlife. We are just minutes to the beach and enjoy the beautiful southern California sunshine. You can’t smoke cocaine as it is. 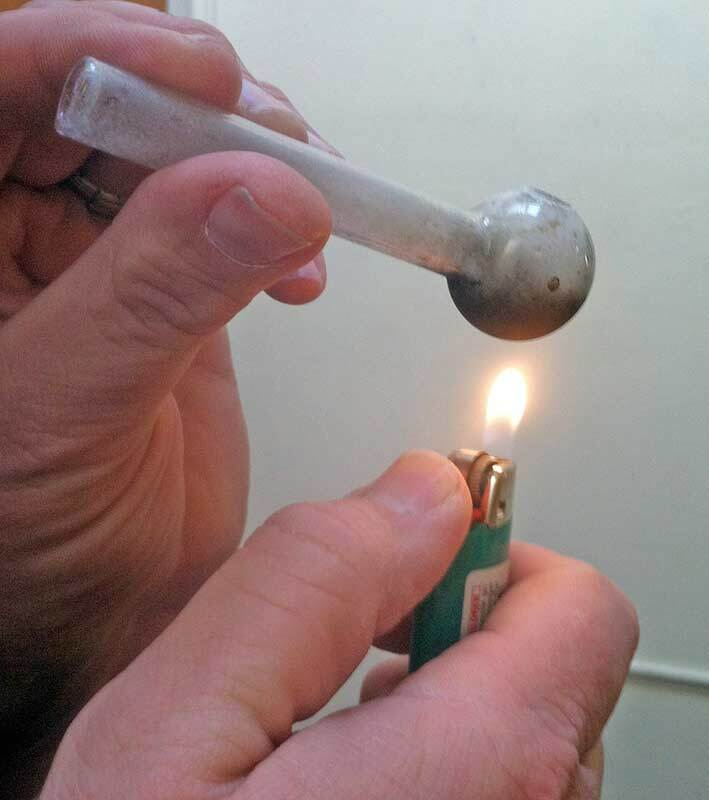 If the hydrochloride is removed, you can smoke it, and it’s called crack. Why is it called “crack?” Because it makes a crackling sound when it is heated. Large doses of cocaine are delivered when crack is smoked. The effects are intense and immediate…and deadly. 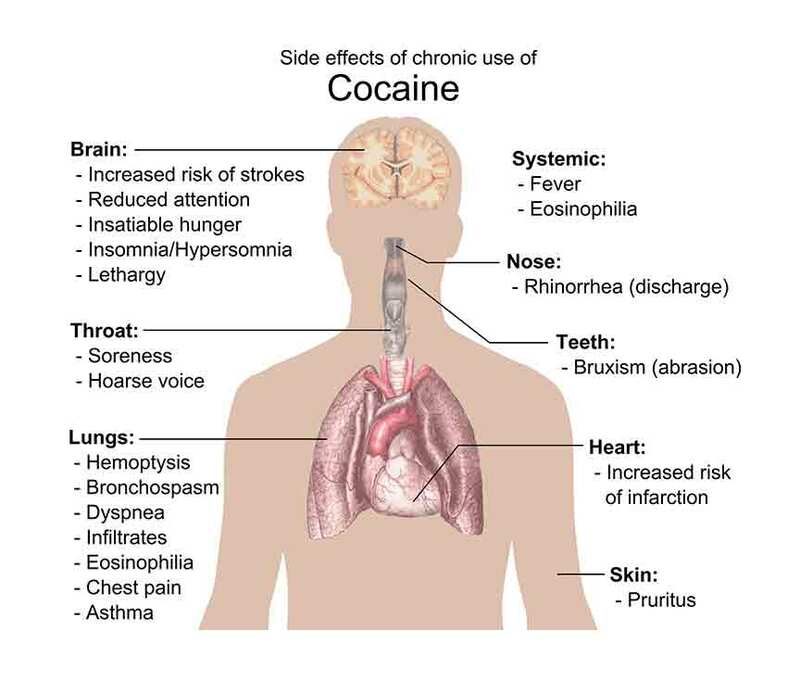 Cocaine users have a much higher risk of heart attack or stroke. They have thicker heart muscle walls, higher blood pressure and harder arteries than non-users as well.